Isaac Watts (PHH 155) based this hymn text on Psalm 72:12-19 and referred to verses 5 and 8 of the psalm as well. (For general comments on this psalm see PHH 72.) Originally in eight stanzas entitled "Christ's Kingdom among the Gentiles," the text was published in Watts' Psalms of David, Imitated (1719). 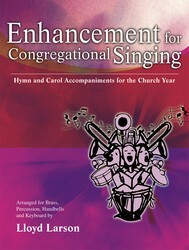 The original stanzas 2, 3, and 7 are omitted, as is customary in modern hymnals. Watts' text is a strong Christological interpretation of Psalm 72. We sing of the worldwide reign of Christ (st. 1), who is praised by all creatures (st. 2 and 5) , and whose rule results in blessings on people "of every tongue" (st. 3) and redemption for the outcasts (st. 4). The text has a strong missionary focus. Advent; Epiphany; Ascension; with mission themes; stanza 5 as a doxology; (see also suggestions at PHH 72). First published anonymously in Henry Boyd's Select Collection of Psalm and Hymn Tunes (1793), DUKE STREET was credited to John Hatton (b. Warrington, England, c. 1710; d, St. Helen's, Lancaster, England, 1793) in William Dixon's Euphonia (1805). 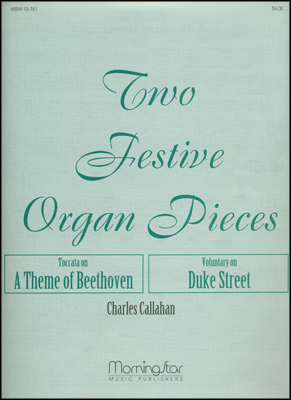 Virtually nothing is known about Hatton, its composer, other than that he lived on Duke Street in St. Helen's and that his funeral was conducted at the Presbyterian chapel there. A sturdy and much loved tune, DUKE STREET has a generic resemblance to TRURO (413,539) and to the African American gospel-style doxology (637). Sing stanzas 1 and 5 in unison; stanzas 2, 3, and 4 in harmony. 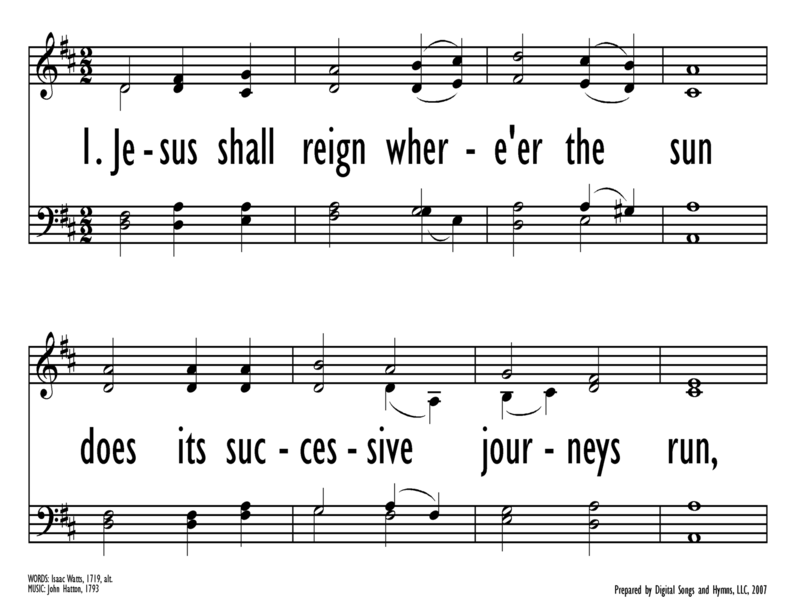 The final stanza is a doxology that would be enhanced by a descant; it would also benefit from a stately tempo. Use strong and vigorous accompaniment with trumpets if possible.